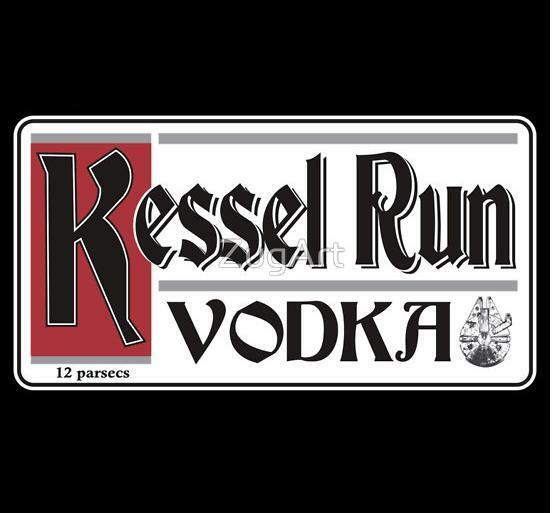 The next Kessel Run related design on Red Bubble was this “Kessel Run Vodka” design by Zugart. To be honest, i’m not too sure about the connection, but it would be fantastic to be able to buy the vodka with this label. This is available as both a Tee Shirt and Sticker. This entry was posted in Art, Stickers, Tee Shirts, Things that i don't have yet... and tagged Art, Millenium Falcon, Millennium Falcon, Star Wars, The Kessel Run. Bookmark the permalink.